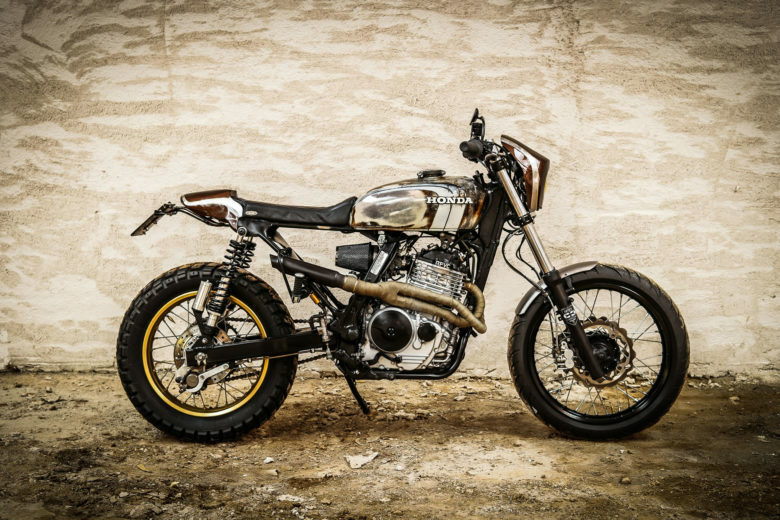 Again… build based on a small enduro, single cylinder engine, cooled by air. 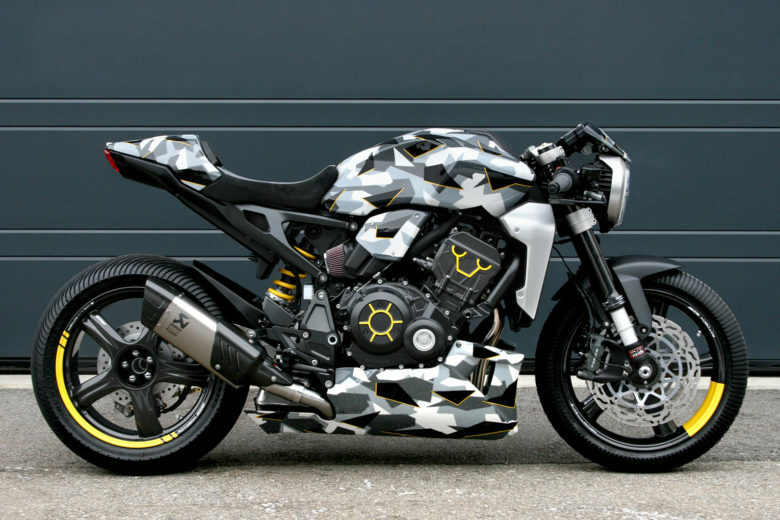 These machines are getting more and more popular to customize. It’s not a surprise, since in general all of those, while stock – look really awful and disproportional. 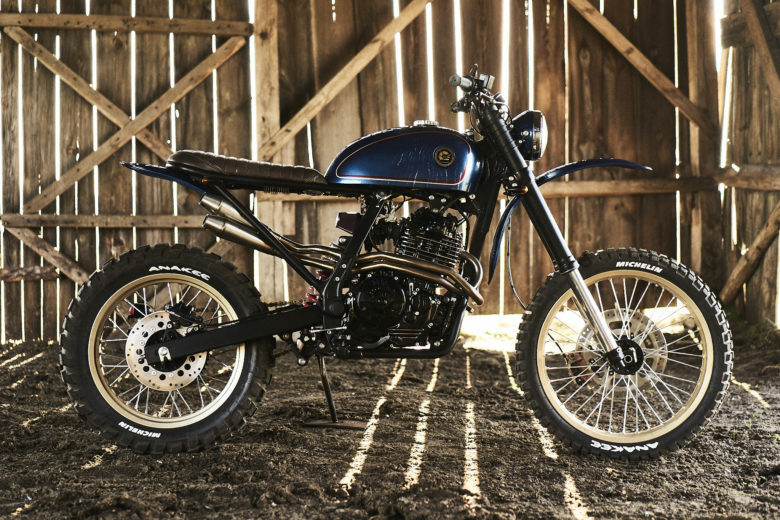 This particular build is based on a Honda SLR650. A model that didn’t live long (was around only for 4-5 years between 1996-2000). 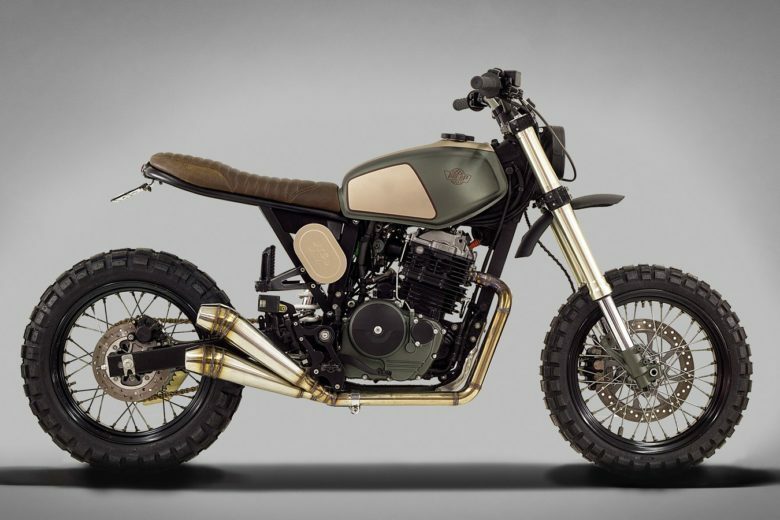 The reason for that was mixed reviews (the whole family of sister models like Vigor and FMX were critiqued vs the competition). So let’s change that. 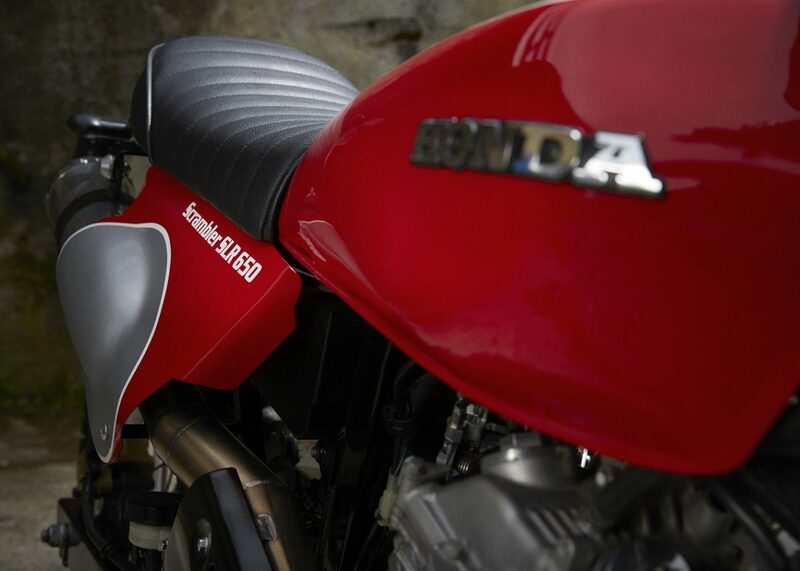 As despite it being based on a very average donor bike, it brings something new to the retro styling. 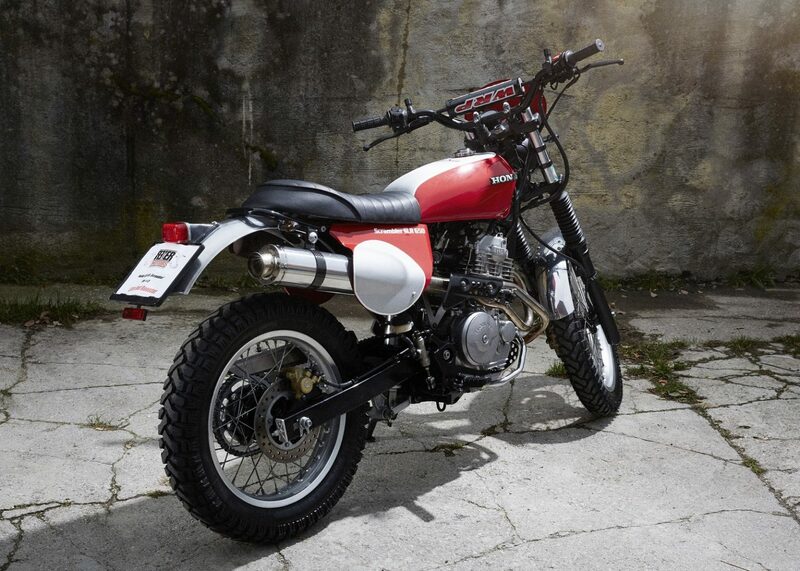 The tail with the side covers look practical, is definitely borrowed from this dual sport/enduro segment, but somehow it works fine with the retro looks of an old-fashioned Honda tank. The front wheel is not 20+ inches as many of those bikes and all-terrain tires make this thing a really universal ride. Spoked wheels always work. 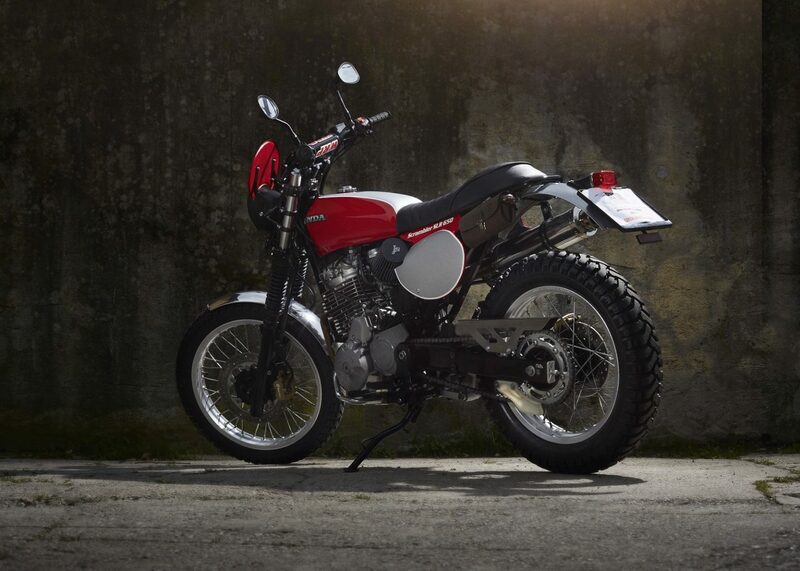 Probably You’ll never win any drag race with its around 40 hp, but put on some heavy duty offroad rubbers – and You got Yourself a torquey Scrambler (well maybe the front fender would need to go a little higher). I really like the small leather tool bag on the left side. 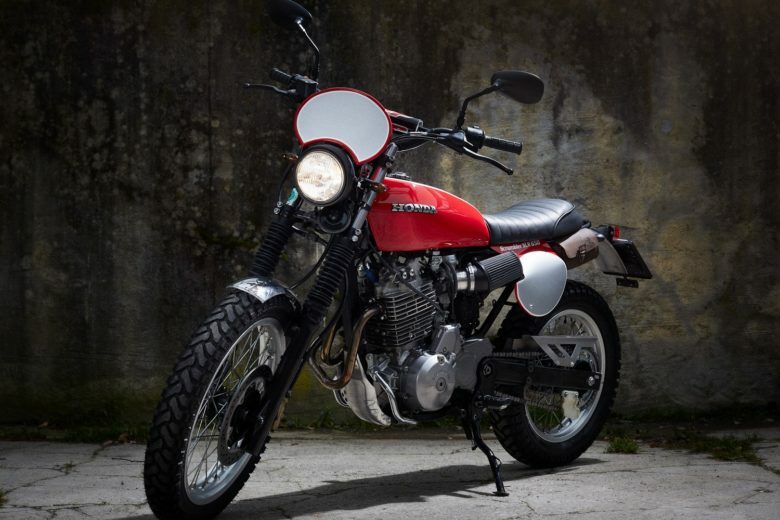 And the chromed fenders – that remind about the 70’s UJM. 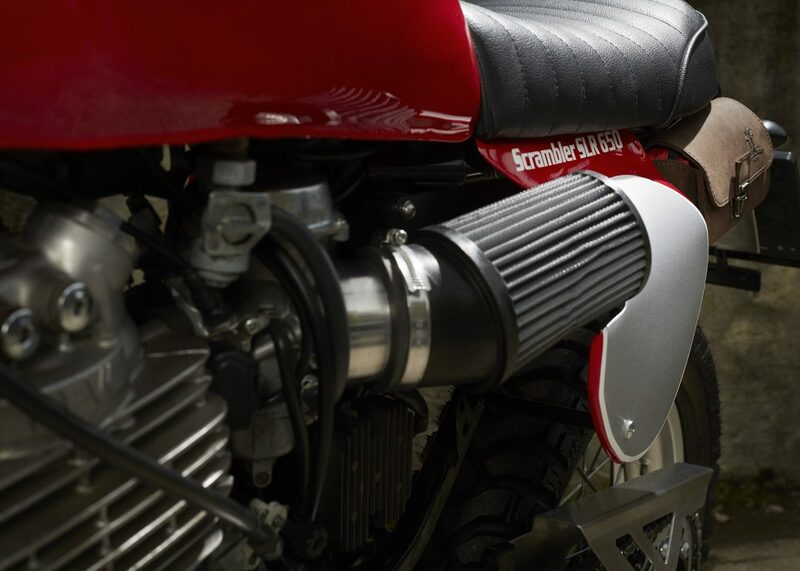 The exhaust was custom made – finished with a big shiny muffler, partly hidden under the tail cover. I wonder how much kgs it lost during the conversion? Great job Reier Motors!